Celebrating all the small and significant moments in your life. Sharing the love of fashion. Teething & Craft Supplies for the Modern Shop Boss. As a small business owner, gaining exposure and traction in your business can be a huge challenge. 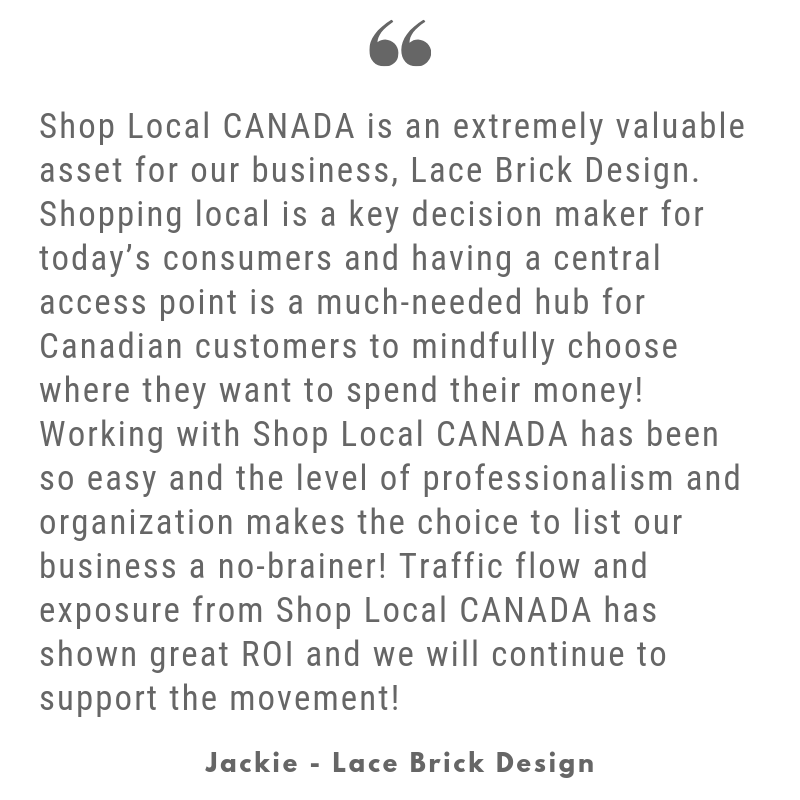 That's the exact reason we built the Shop Local CANADA (SLC) platform and created the SLC membership. Our Shop, Sales & Events Directories allow people to easily discover and shop from you. We are the hub for all things local shopping across Canada and would love for you to join us! Becoming a SLC member means your shop will be seen by thousands of engaged small business supporters every month. Along with being listed in the Directories, featured on social media and in our newsletter promotions, among other marketing strategies, we invest in our SLC members and increase your sales with our ambassador program. 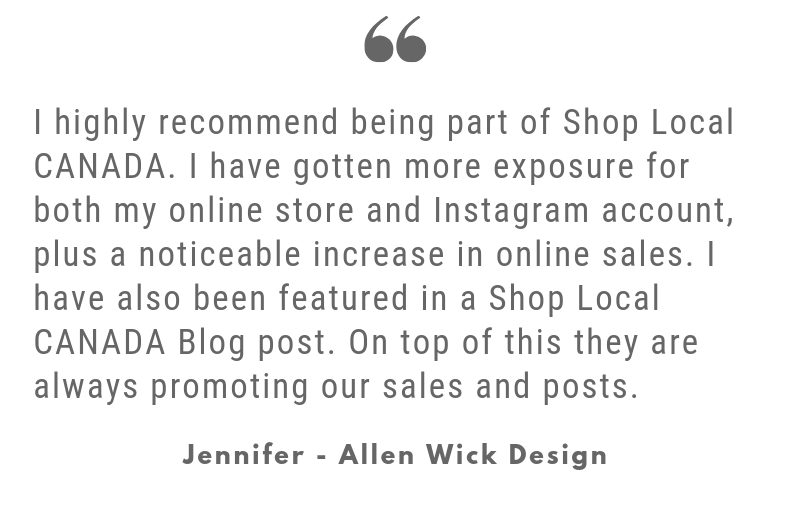 With a community over 22K on Instagram and an average of 10K website pageviews/month your business will be seen. We are a resource and hub for all things local shopping across Canada. We have a large community that turns to us for shopping suggestions. Plain and simple - We help your business grow and gain momentum so you can continue doing what you love. Win/win. We help people discover your business, fall in love with your brand and become repeat customers, you take it from there. How much would gaining 10 new loyal customers change your business? What's the value of 1 new customer for your business? What's the value of 1 new customer that becomes a repeat customer and raving fan? What's the value of 5 new customers that refer 2 friends each? How much would expanding your customer reach across Canada impact your business? How would gaining more Instagram followers that become customers change your business? These are just a few of the ways we impact the businesses we partner with. What are you willing to do and invest in to grow your business? We partner with businesses and brands that are wildly passionate about what they do and believe in the power of marketing. Excited? Perfect! So are we.